When your Philips Dynalite system is playing up it's likely going to be a hardware issue of some sort. Programming never just changes. When you need your system fixed it's best to contact an experienced Philips Dynalite Dealer in your area, but we've listed some things you or your electrician can try to get things working again. Is your Dynalite system connected to any other system? Quite often Dynalite is connected to one or more audio visual systems, or maybe security system. Quite often we see a failure or loss of power on the 3rd party system affect the communications bus of the Dynalite system, which means when you push a button or set off a sensor, absolutely nothing happens. This type of issue can cripple a Dynalite network, and always worth checking first. 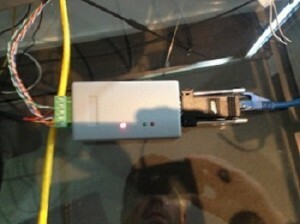 Low voltage on the Dynet bus may cause control issues. You may experience some keypads or sensors working and others not, or sporadically. You may find some keypads with lights on the front, and still unable to control your Dynalite system. Check the DC voltage between 12V (Orange) and Ground (Green) pairs. If you read anything under 10V, you may have a voltage problem. If the problem has only recently started happening, you need to be trying to work out why. Maybe a power supply is faulty? Or the 12V supply on some of your controllers are progressively degrading. You may add another 12-15V DC supply to your Dynet bus. This may resolve DC supply problems. If you still have issues after this, you may need to look for cable shorting issues. Dynet cable short or other issues are a common factor in Dynalite system issues. You may read low voltage, or some keypads may work and some not. You need to try to find a short or other cable issue. The best place to start looking is on the load controller connections, these are easy to access. Then you may look at the connections on your keypads. The Dynet bus is usually run from keypad to keypad so if you have an issue half way down your Dynet line then you can guess where your cabling issue may be. Quite often we get called in to look at a situation where a breaker connected to a Dynalite controller keeps tripping. More often than not the issue is with one of the light circuits attached to that controller. The best way to resolve is to remove the active lines out one at a time and attempt to energise the controller as you remove each one. When the breaker remains up you know you've found your faulty circuit. 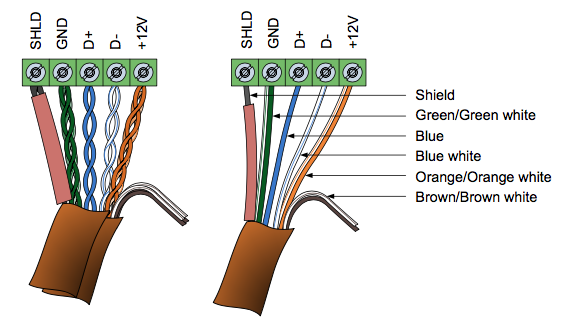 Do you have somewhere between 4 and 12 light circuits just simply not working? You may have a Dynalite controller issue. Check all breakers are on. If still no better try resetting controllers. Hold the service button down on a controller for 4 or more seconds to reset controllers. Any better? If not look for the service light. You may find one light not flashing. If it's powered, and no service light it may have a critical fault. Contact a Dynalite repairer like Control Co to assist you with a replacement. Same symptoms as above, but controller looks fine, service light flashes, or maybe some lights are on, but you simply have no control of lights attached to that controller. The EPROM chip inside may be faulty. Contact a service agent for assistance. You may just have one keypad that doesn't light up or doesn't work. Check the Dynet cable on it's back. If you measure 12V between orange and green, and connections look ok, you may just have a faulty keypad. Contact a Dynalite repaired (like us) and we can supply a replacement keypad. It will need reprogramming so it's best we come onsite. Sometimes there's just something else creating an issue, but we can help you resolve the issue guaranteed. We service Brisbane, Gold Coast and Sunshine Coasts. We had the pleasure of helping a new client recently with the an upgrade to his existing Dynalite system in Brisbane. The older DLP keypads were getting a little worn and the client was after a great looking panel with plenty of control options. We take a look at AXA Design's audio distribution product. AXA Design has designed their audio distribution range to receive Dynet protocol messages allowing the user to switch their audio sources to any destination in their home, with audio level and equalisation control, from any Dynalite interface. 10 ways to improve & upgrade your lighting control system. Lighting control systems as part of a Home Automation system can give us some really great benefits in our home. We can set the perfect scene or mood, create safety and comfort for our loved ones, save energy, control blinds, irrigation, and all simplified with easy to control user interfaces. There are many installations we see that don't provide these great features, and for a number of reasons. It may be due to the effort of the installer or programmer, or simply more features become available as time progresses and technology advances. We'll list some things you can do here, many pictures and ideas related to a Dynalite lighting control system. An automated lighting control system can be a great tool for helping you to save money on your electricity bill. Quite simply it can help you to turn off lights and power where it isn't required or has been left running. Here's a few techniques we've used in our Brisbane/Gold Coast Dynalite installations in to help reduce power consumption. Should I choose Dynalite or Clipsal C-Bus to automate my home? As a C-Bus and Dynalite technician I've come to learn that you can achieve the same results in terms of lighting control and automation in a home with either product. However there are a number of differences between the products, creating differences in price, installation, system reliability, and ongoing costs and maintenance. This will be an ever evolving blog post I feel as it's improved upon, and automation installers and owners input their 2 cents. It's not going to be a perfect but here we go. When you select Philips Dynalite you are choosing the finest lighting control system in the world. Philips Dynalite creates sophisticated, impressive, reliable, and energy efficient lighting and building control solutions for residential, offices, hospitality, retail, industry, public spaces and more. Homeowners are always looking to reduce their energy but they not only do that but also help the environment. The typical smart home automation usually features seamlessly integrated security systems, electronics, appliances and lighting. As more devices are made with wireless connectivity the features a smart home can control. So many systems are becoming more common in a smart home such as automated door locks, temperature control, energy consumption and monitoring devices, entertainment systems, smart lighting systems and many more. The list is endless.